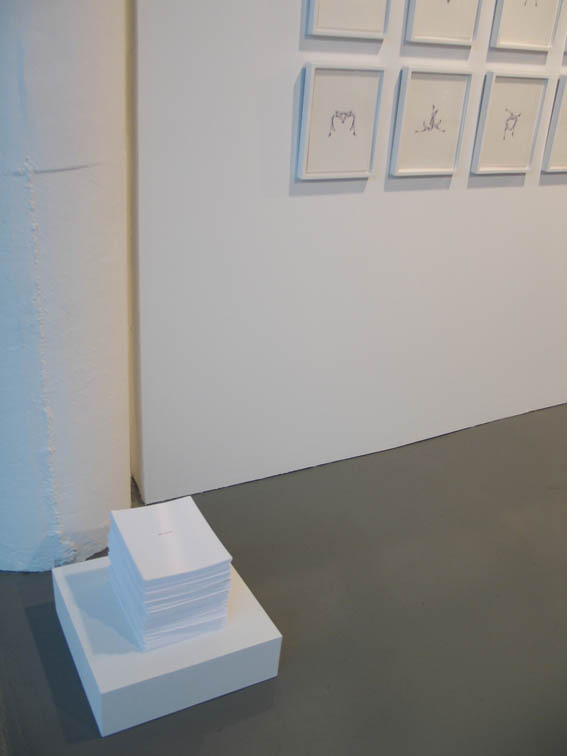 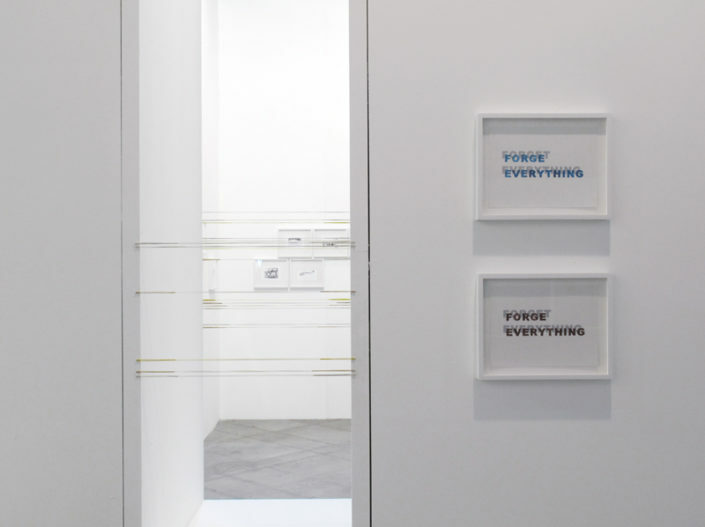 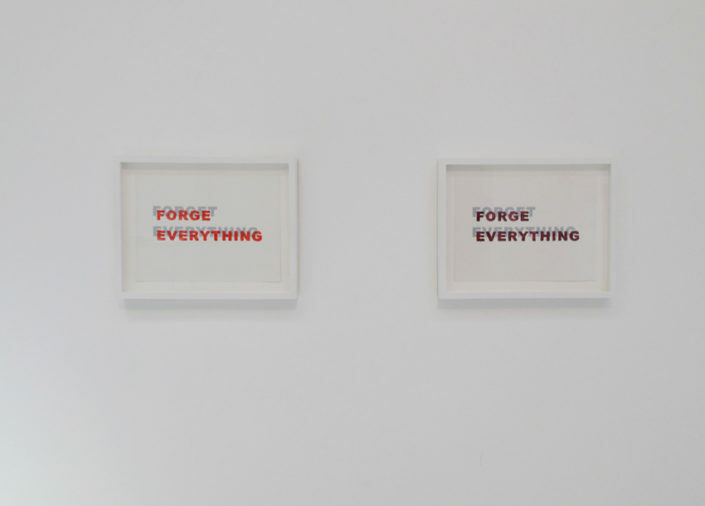 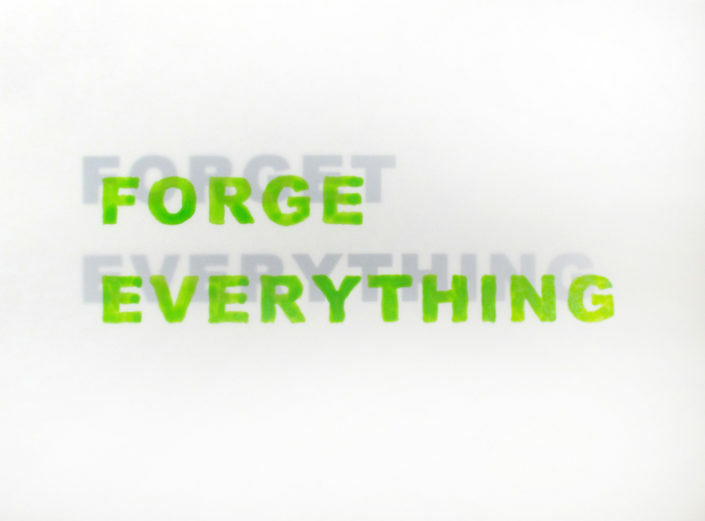 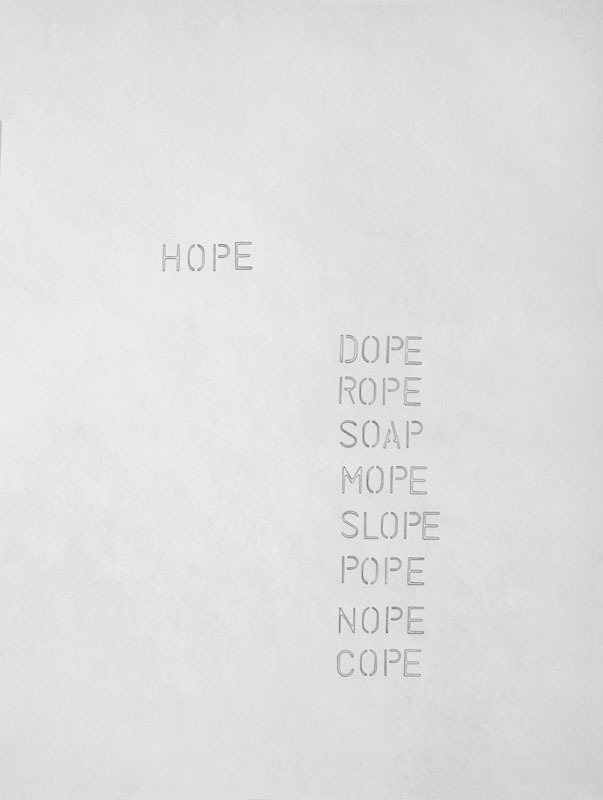 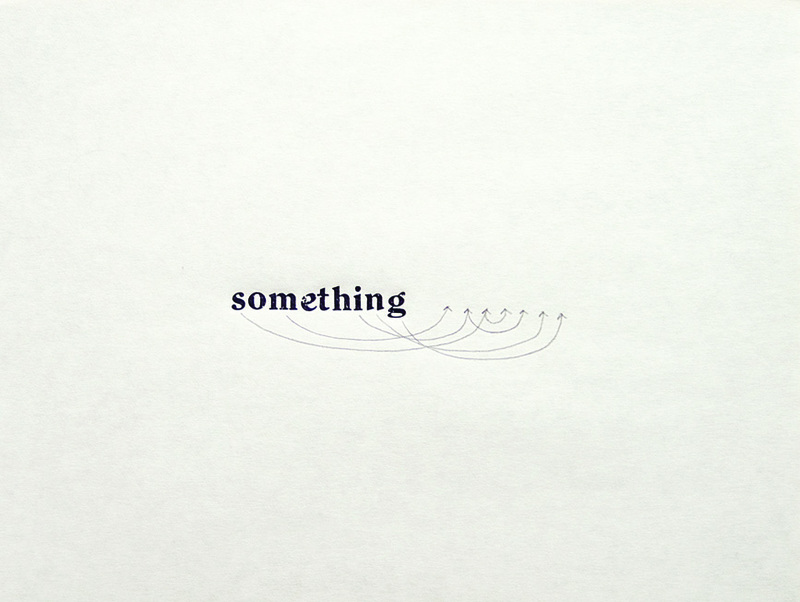 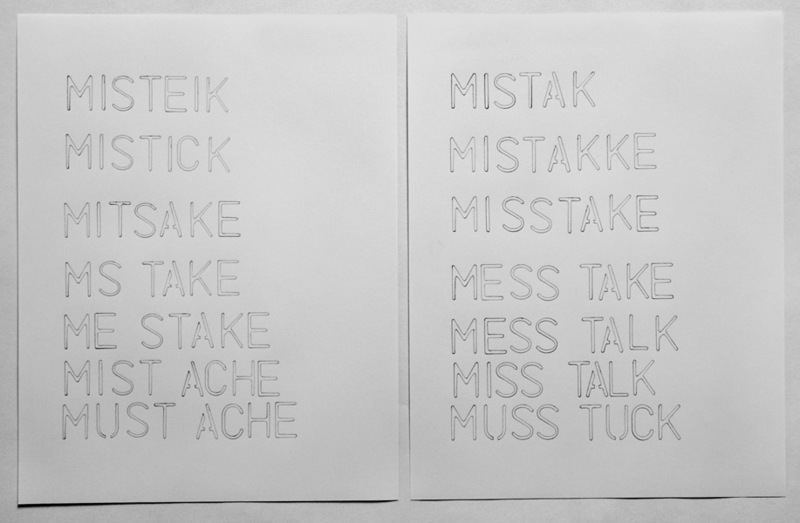 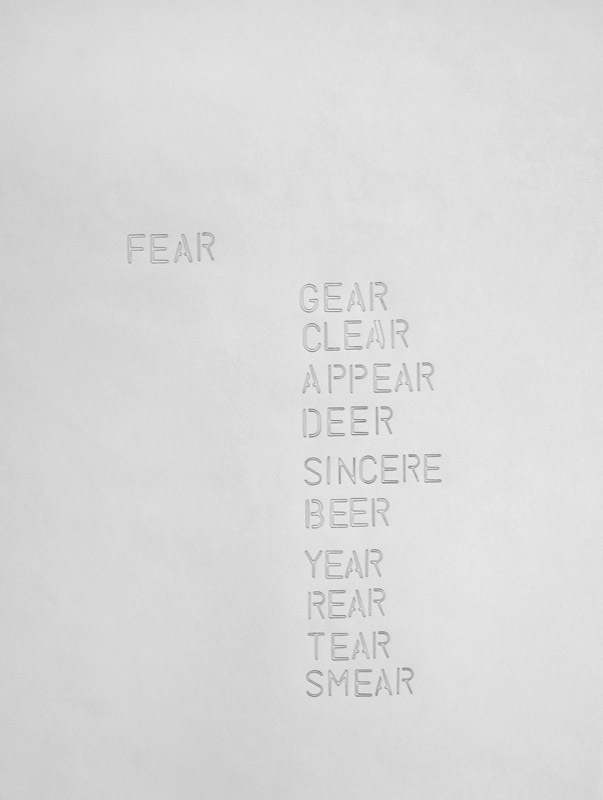 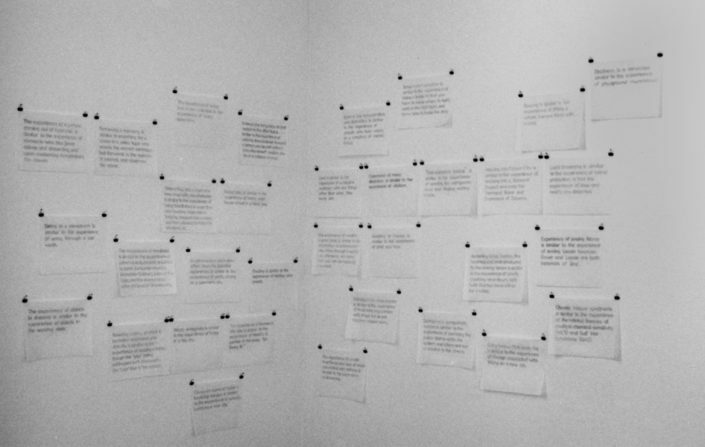 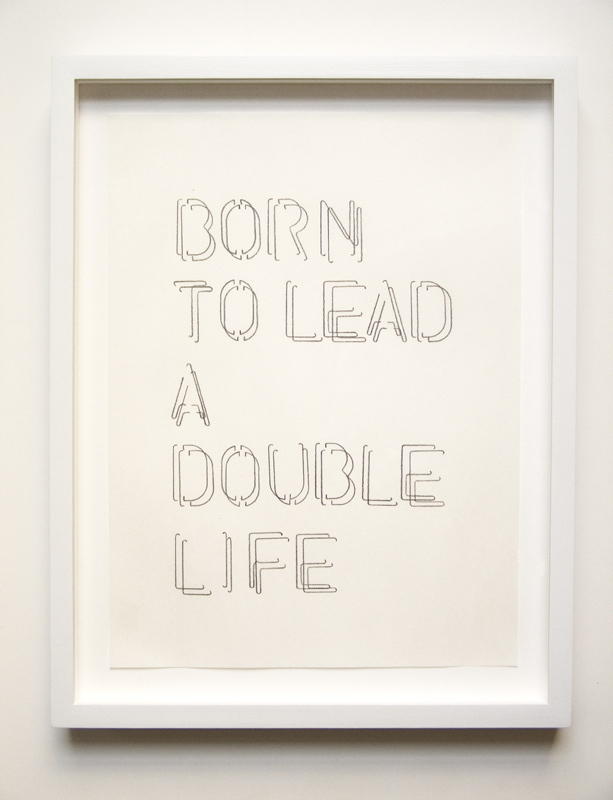 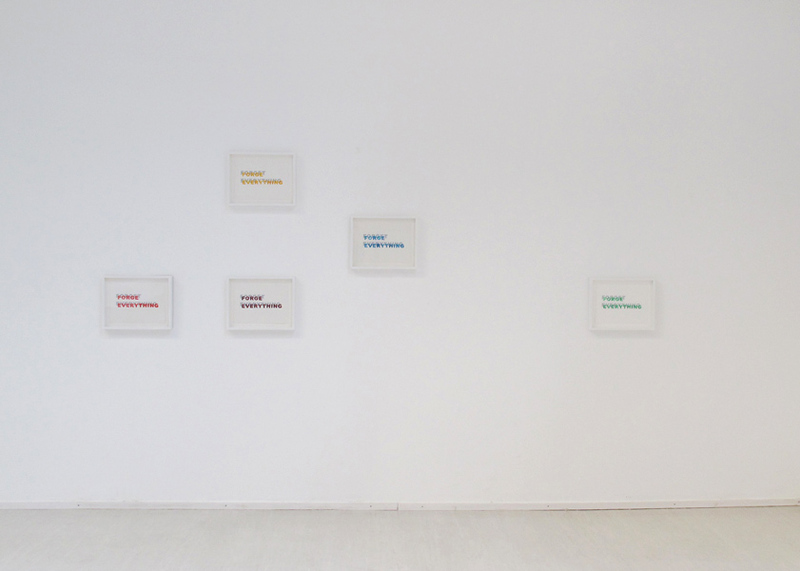 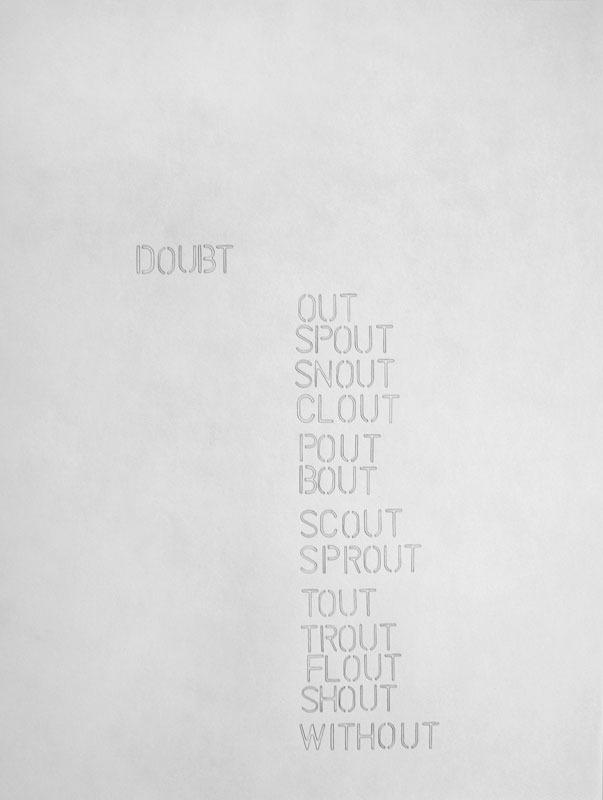 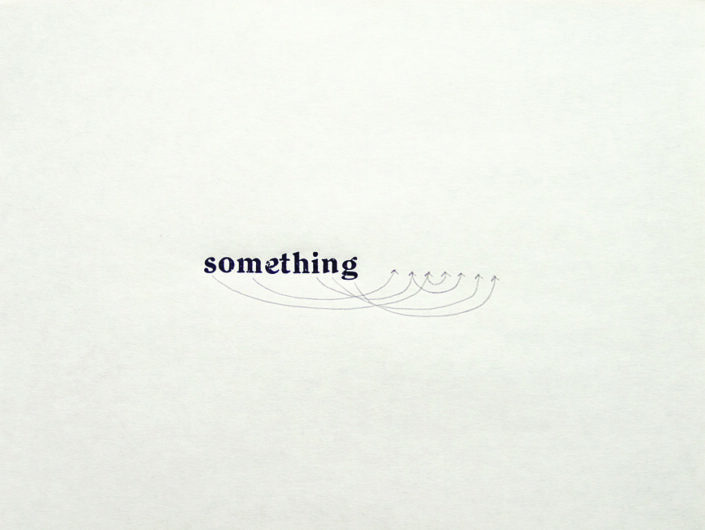 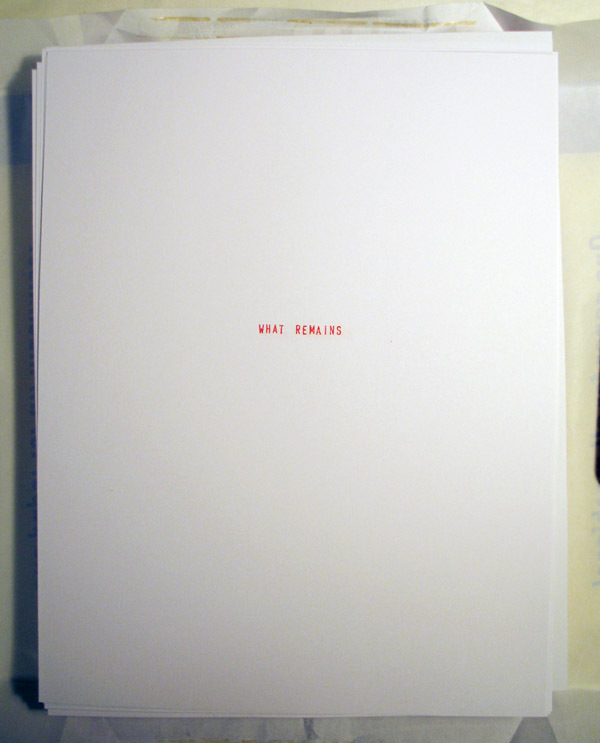 One of Each is series of 12 works on paper at the center of which is an improvised ‘problem-solving game’ of constructing phrases by using a limited number of letters. 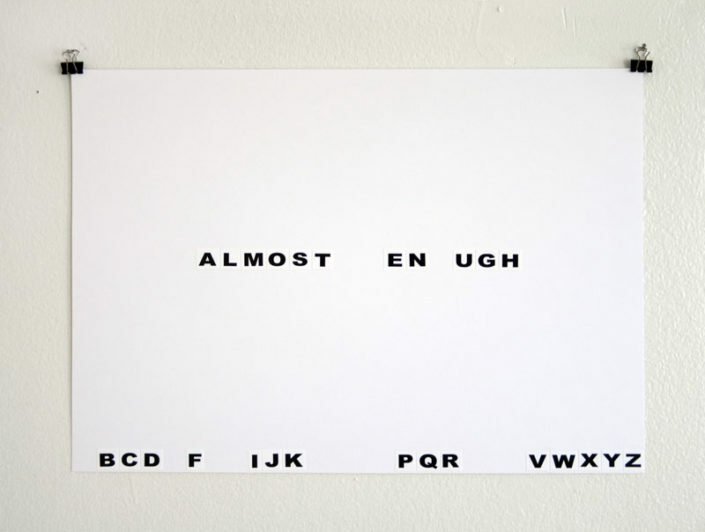 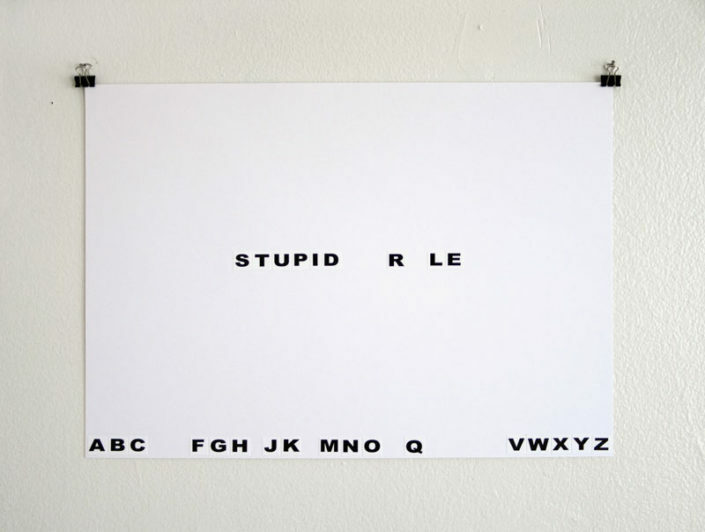 The starting point for each individual piece in the series is a single full set of letters from the alphabet, and a restriction—a rule that allows only one of each letter to be used in any individual attempt at writing. 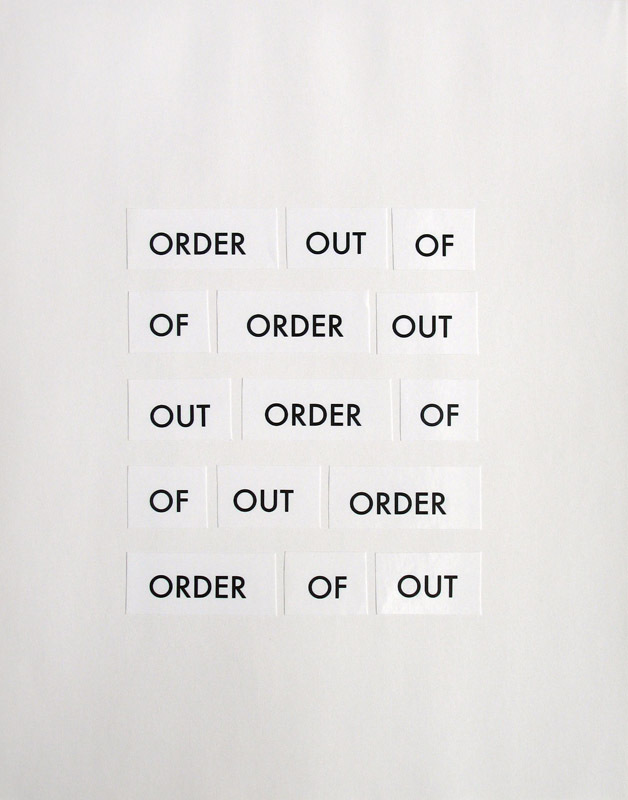 The phrases formed in this way always contain holes and gaps as the piece continually runs into the problem of needing duplicate letters. 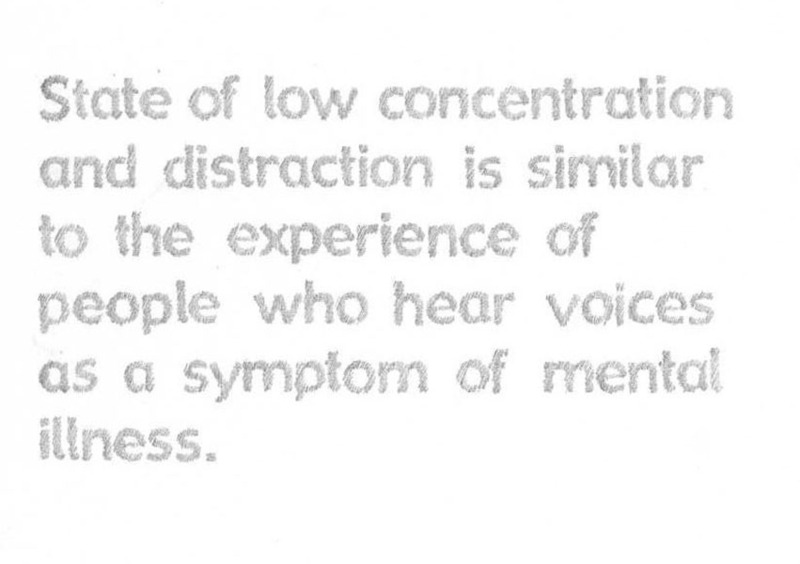 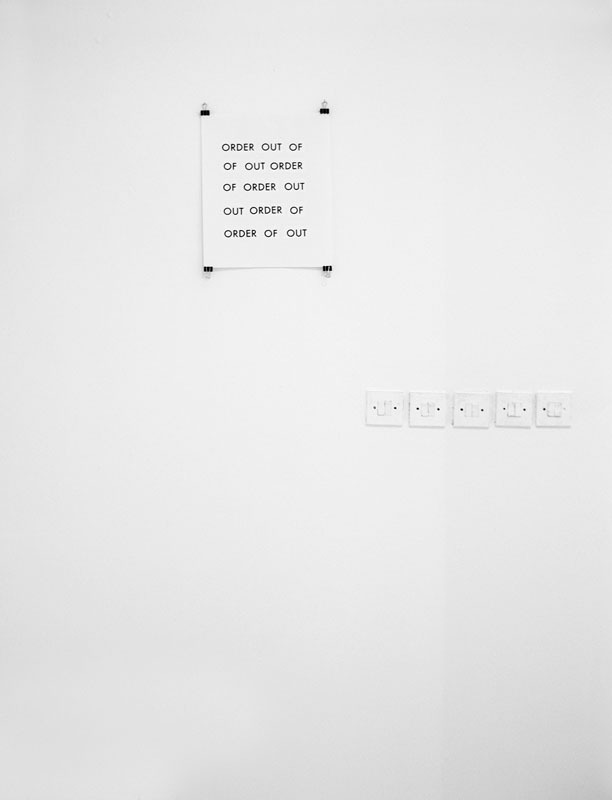 The work functions as an evidence of a playful problem-solving activity, of solutions to an evident “problem,” and a record of the multiple attempts of dealing with the restriction at hand. 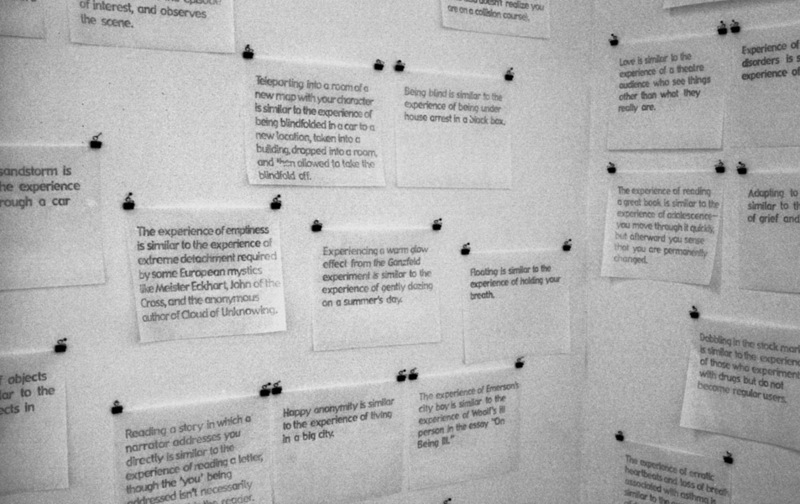 The phrases themselves represent a very literal articulation of the conditions behind the activity of which they are a product. 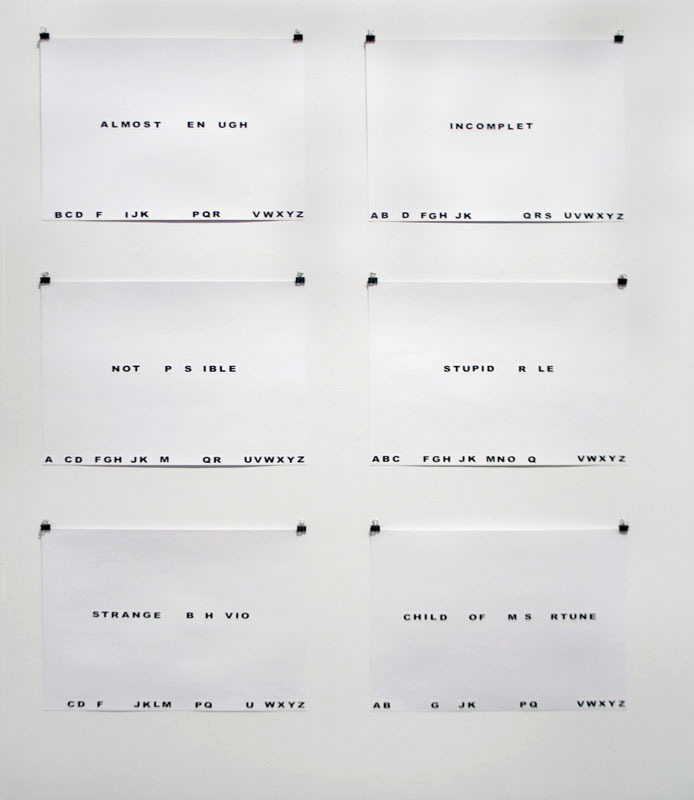 The resulting utterances—although fractured and featuring gaping holes—remain readable nonetheless as the viewer is invited to take part in the game of completing and decyphering these verbal puzzles. 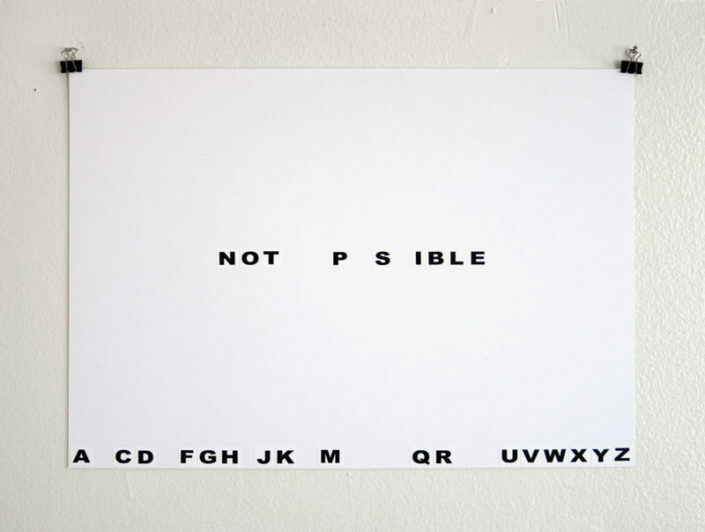 There is a playful voice that emerges from the pieces, which seems to comment on the nature of the activity and points to the humour and absurdity of the problem-solving game it is involved in. 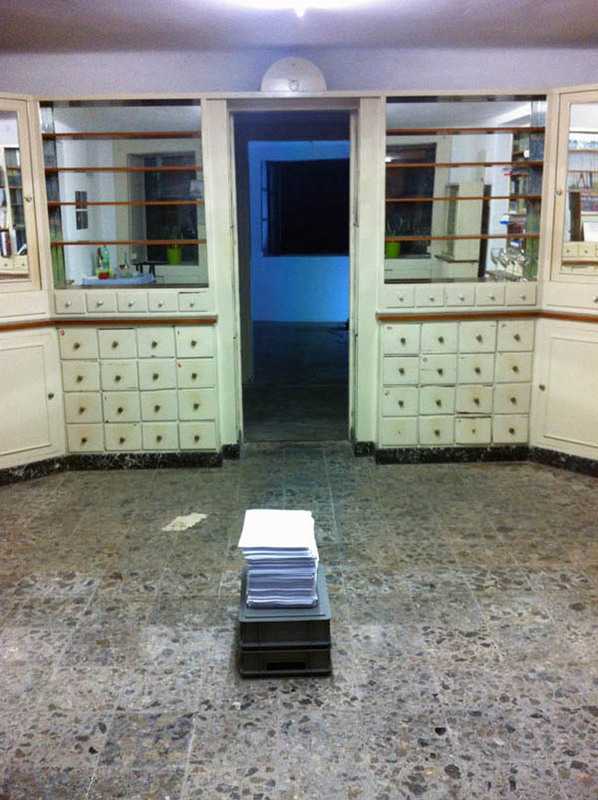 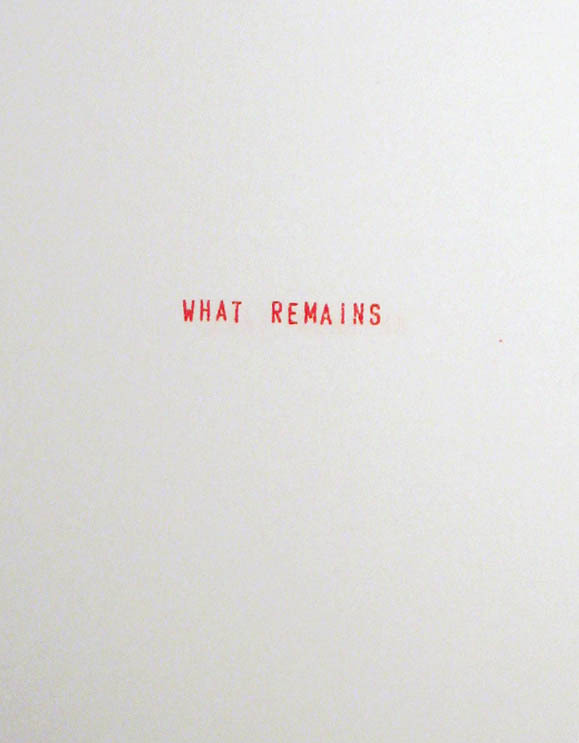 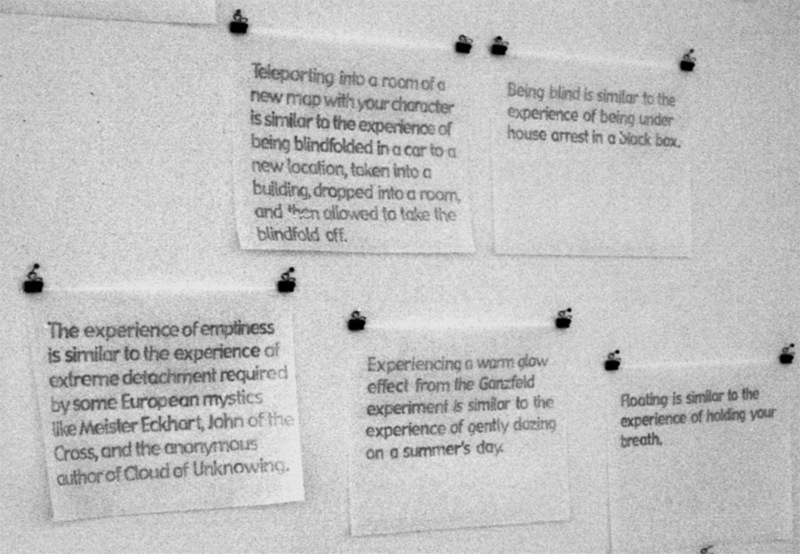 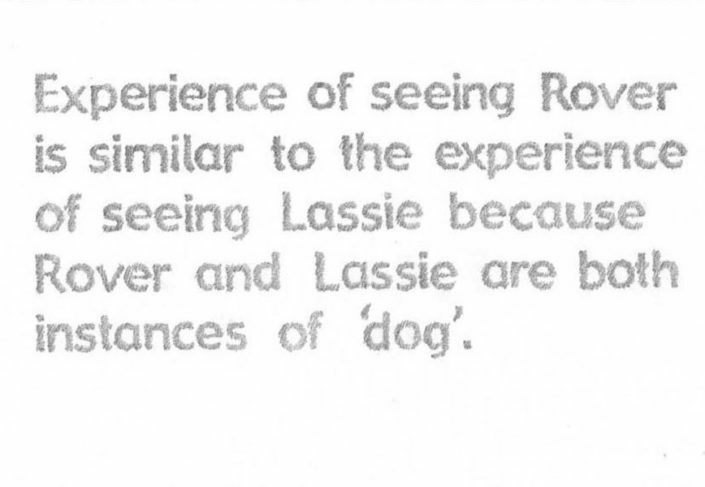 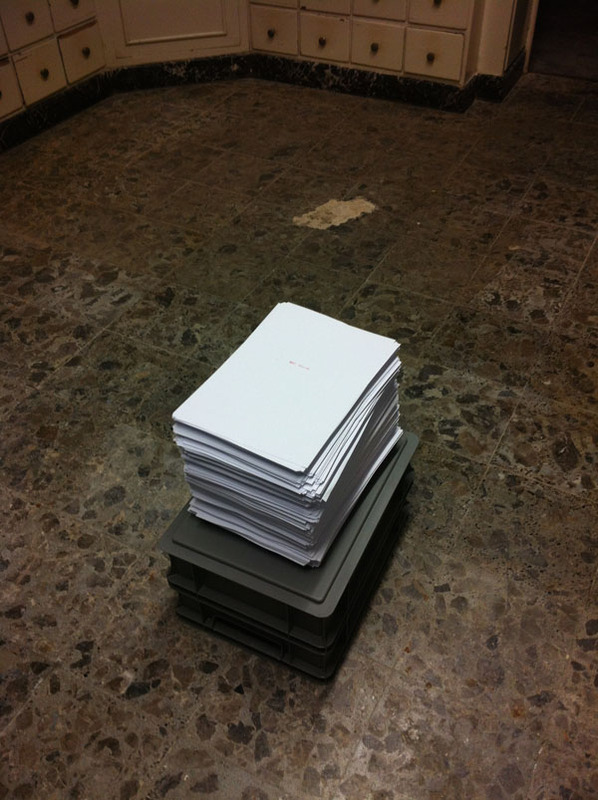 By describing in a literal way the condition of both the ‘part’ and the remaining – if continually diminishing – ‘whole,’ the piece additionally speaks of the processes of disappearance and vanishing, of removals and relocations, fragmentation and dispersal… The takeaways as well as the remainder of the stack sit in the room or a home as a question: a question of what remains after history, what remains after human presence – a question of traces as well as a question of memory, a question about change and progress and about going forward while looking back.